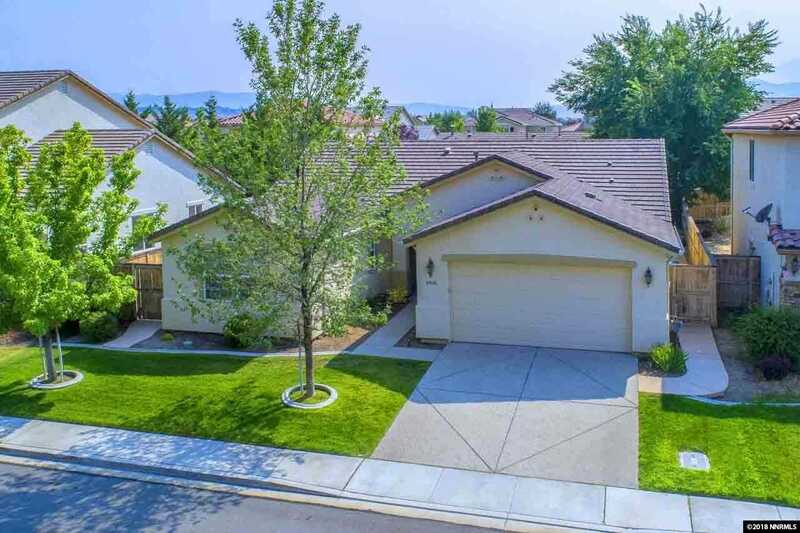 Located in the Villages at Damonte Ranch, this beautiful single level home has four bedrooms. The master is large and separated from the other 3 bedrooms. The spacious kitchen, great room and open formal dining room provide a large combined space for entertaining or gathering. The great room has a gas log fireplace for those chilly winter nights. Ceiling fans and speakers have been installed in each room for a whole house sound system. SchoolsClick map icons below to view information for schools near 10630 Copper Lake Drive Reno, NV 89521. Listing provided courtesy of Cal Neva Realty.